There are generally three different types of advisers who can assist you in migrating to Australia. Preparing for and representing you if your visa application, cancellation review application or request to the Minister goes before a court. An RMA can also help anyone who is nominating or sponsoring a visa applicant. 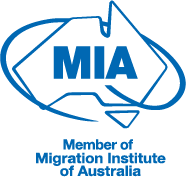 From 2018, an RMA will require a Graduate Diploma in Migration Law and Practice, but this is not a law degree. What to do if your application is being reviewed or hasn’t been approved. A lawyer can also represent someone who is nominating or sponsoring a visa applicant in court and give them legal advice. They are not allowed to help you prepare your visa application, cancellation review application or request to the Minister. A lawyer who is also an RMA can provide you with both immigration assistance and immigration legal assistance. This means they can give you advice about your application and also help you prepare it. In addition, they can prepare your application for review or court and represent you. Essentially a lawyer who is an RMA provides you with a complete immigration service. A lawyer who is an RMA has both a law degree and specialist qualifications in migration law. As a qualified lawyer, they also understand other aspects of the law that may impact your immigration process, like family or employment law. They are also experienced in preparing legal documents, court process and representing people. Immigration lawyers are also held to a higher standard of professional conduct than an RMA. While an RMA is bound by the Code of Conduct outlined by MARA, lawyers are also bound by standards outlined by their state’s legal professional body and courts. This conduct extends to legal professional privilege. This means that the lawyer must keep all your information confidential, a privilege that may even extend to the courts. Someone who is not a lawyer is not obligated to keep your information confidential. By using a lawyer who is also a MARA agent you can ensure that you receive the most thorough assistance with your visa application. At Pathway we are staffed with multi-jurisdictional lawyers who are certified to practice law in both Australia and South Africa and who are also MARA registered. This gives our relocation clients the added advantage of having any legal or migration concern whether in South Africa or Australia thoroughly taken of. Very few, if any, agents can provide this service. If you would like assistance with emigrating to Australia contact our advisors at Pathway Lawyers & Migration Agents. Newer PostWhat is the significance of being a MARA agent? Older PostWhy do I need an ImmiAccount for my visa application?